We have the expertise to develop heavy gauge thermoforming products. Up to 6 mm gauge with maximun dimensions of 47” x 47” with a máximum depth of 7 ¾”. We also count with routers for cutting. The most common applications for this products are pallets, totes, dunnage trays and reusable bins. We can provide low cost tooling and customize products. We thermofomed different materials such as HIPS, PET, ABS, HDPE. We are focus through different industries: automotive, aerospace, electronics, medical, consumer retail, and food. 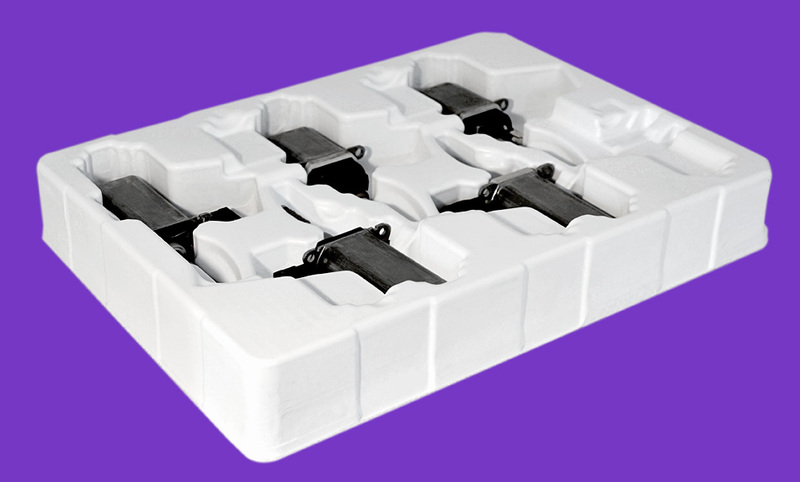 We can provide a full packaging solution of thermoform bins with trays.